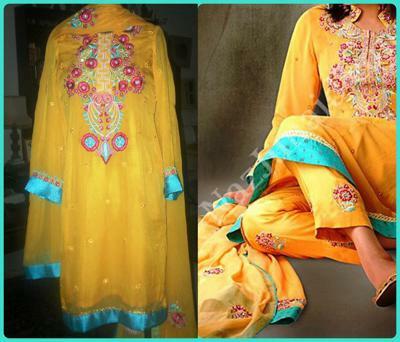 Eid 2012 is not much far away & it will be a hot Eid, girls have already started thinking about their Eid dresses so they can look attractive in that special day. Every girl wishes to get praises from her relatives & friends about her look & dress so he try to wear most stunning outfit. Eid is the event when friends & families gets together. In this Hot Eid, following types of dresses will be ideal for you. You can get idea & make such dress for you.